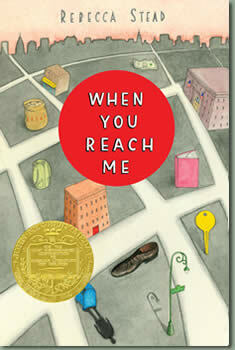 1) Rebecca Stead’s When You Reach Me – I’m fairly well-versed in the world of middle grade fiction. I used to teach fifth grade, so I have a decent collection of Newbery Medal and Newbery Honor books, and I’ve read and reread many over the years (The Giver and Island of the Blue Dolphins are among my favorites). Since I started writing YA, I’ve focused my reading pretty much on that level, but when I saw When You Reach Me at the library, I knew I had to give it a go. I’ve seen it recommended up and down, and now I know why. It was AMAZING. Seriously. One of those books that gives you chills, moves you to tears, and won’t let you stop thinking about it. Even if you’re not a big middle grade reader, I still highly recommend you give this one a shot. You won’t be disappointed! 2) This adorable You Tube video, a tutorial on 25 Ways to Wear a Scarf. Even as an enthusiastic wearer of cute scarfs, when I first saw this on Lola Sharp’s Pinterest page, I thought well, that sounds sort of lame. No. It’s all kinds of fun, and quite informative too! 3) Dexter Season Six – Now, to be honest, I’m not newly discovering Dexter. I’ve been a super-fan for several years (my daughter even knows who Dexter is… *sigh*), but the first episode of Season Six, which aired last week, had me at religion (also, the creepy black snakes… yikes!). Because that’s what Dexter is exploring right now: God, right and wrong, what to expose his son to, how to incorporate spirituality and morals and ethics and theology into his own nontraditional (okay, warped) lifestyle. These are musings I can relate to (though I’m certainly not toting around a dark passenger), and that makes me even MORE excited for tomorrow night’s episode! What had you excited this weekend? I’m insanely pumped for Dexter’s latest outing! The show has had its high points and low points, and while last season was by no means a low point in my opinion, I don’t think we’ve really had a perfect villain since season 1. I’m really excited to see what this season gives us. Not to mention Dexter’s literary adventurers coming out again later this month from Jeff Lindsay. 🙂 I’m with you 100% on being excited for Dex! I’m thrilled that you’re a Dexter fan, Ian. You’re right about the Ice Truck Killer from Season One being a pretty perfect villain. I thought the Trinity Killer was amazing as well. And the villains from this season’s trailers… yikes! There’s something about the mix of religion and violence that is especially disturbing. Can’t wait to see how it all plays out! 😀 I actually JUST found that scarf video maybe 2 days ago. Such a coincidence! But I do love it lots, especially like the Bunny Ears one! I am so excited to watch that scarf video! I love my scarves, but I only wear them one or two ways. I keep trying to wear them the cute ways I see other people wear them, but I can never figure it out. This is perfect! Thanks for the book recommendation. I also watched the scarf video. I never imagined there were so many ways to wear a scarf! Me either, Kirsten! All super cute, though! I hope you have chance to read When You Reach Me… I thought it was absolutely amazing! I’m definitely going to check out the book- I love when middle grade authors don’t shy away from intensity. Also, TWENTY-FIVE ways to wear a scarf? I learn new things everyday! Duuude. You have totally just quadrupled my scarf style. I can’t wait! And so glad you liked When You Reach Me. Your posts are making me want to re-read it, and I just read it! I want to reread WHEN YOU REACH ME too. I have this urge to hunt for little bits and clues and nuances I know I missed the first time. Such a fabulous book! 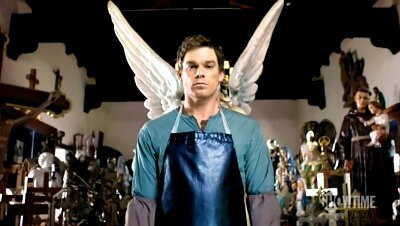 I really need to start watching Dexter. I hear so much good buzz about it. I love, love, loved WHEN YOU REACH ME. I could read it a million times. I’m a huge Dexter fan–only I didn’t realize that right now the only way to watch the new season is on Showtime (I watched the rest on DVD/streaming). Gah! I can’t wait a year! Rebecca, I sign up for Showtime only during the Dexter season, then cancel for the rest of the year. Then I buy each season when it comes out, because I love it so much. I wonder if you can catch the new episodes on the Showtime website? I, too, adored When You Reach Me. I also know my 12-year-old self would have loved it. I like that not only is it an intriguing time travel mystery, but that it’s wrapped up in some meaningful themes. I could definitely see it being taught in school. I’ve never seen an episode of Dexter. But that’s mostly because I don’t want to get addicted to any more TV shows. Dexter is one of the few shows I’ve ever really felt “addicted” to, but I totally know what you mean about not needing another distraction. This is why I stay away from things like Pottermore… I know I won’t be able to resist the temptation! And yes, I think preteen Katy would have adored When You Reach Me. It’s such a layered, surprising novel. One of the best middle grades I’ve ever read!